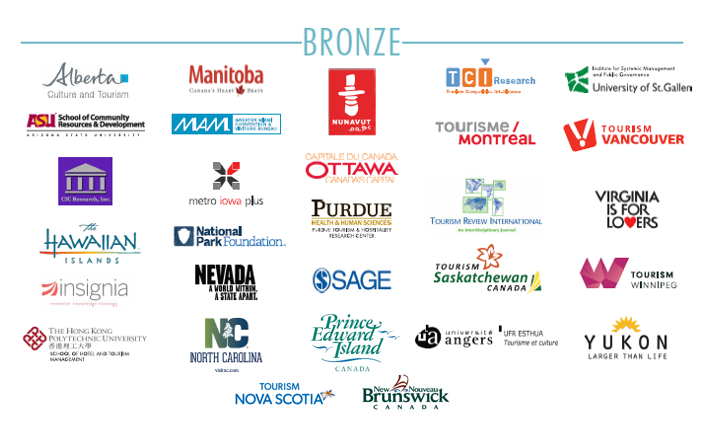 The Travel and Tourism Research Association would like to acknowledge our conference sponsors – both those who are lending their support to our current International conference and to those who have done so in the past. A heartfelt thank you! We couldn’t do it without you! 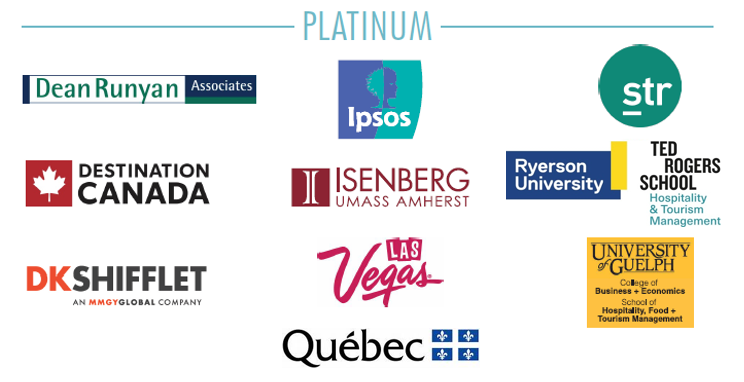 Thank You 2019 International Conference Sponsors! 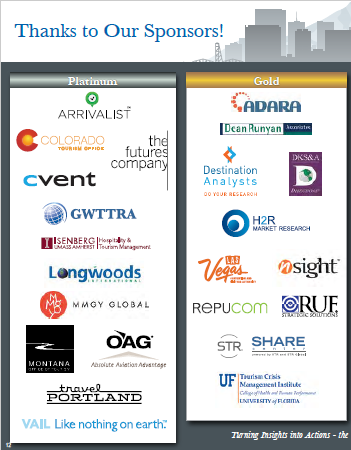 Thank You 2018 International Conference Sponsors! Thank You 2017 International Conference Sponsors! 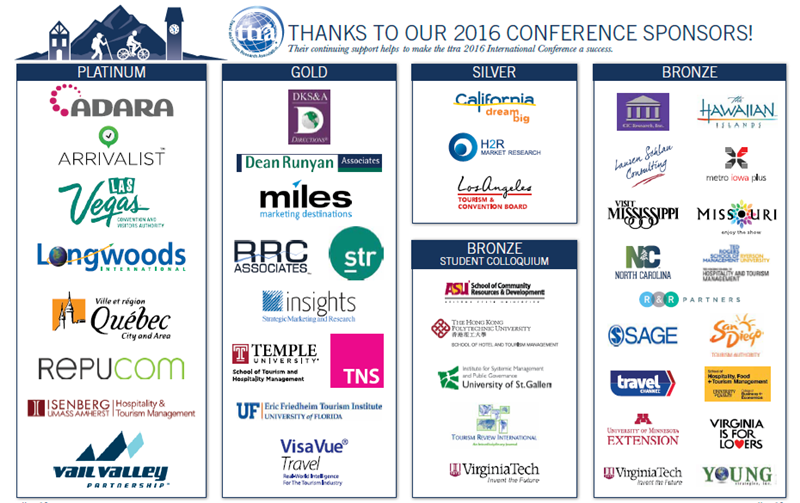 Thank You 2016 International Conference Sponsors! 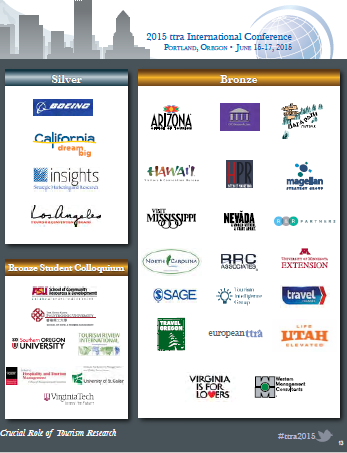 Thank You 2015 International Conference Sponsors!